Chateau Margaux: the pinnacle of the Margaux appellation? My favorite Bordeaux appellation, not simply because of the wonderful balance the finest wines can achieve, but also because I spent a month doing the vendange at Château Palmer in 1988. Consequently Margaux became the Bordeaux appellation that I came to know first and best. At that time a number of estates were then producing uninspiring, mediocre wines, this despite the fact that the appellation had the greatest number of crus classé, twenty-one in all. Today Margaux has been transformed and there has been lots of investment. Many of those chateaux that were underperforming in the 1980s and early 1990s have made great strides in quality and although some of the changes have been controversial no-one can surely argue with the fact that the quality of the wines here today is greater than at any time in the past. The commune also has a couple of notable crus bourgeois which represent great value for money. Margaux is the largest of the Médoc’s significant communes covering around 1400 hectares. Usually included in a study of Margaux are the bordering Haut-Médoc districts to the south of Macau and Ludon. These two areas are home to Château Cantemerle and Château La Lagune, two excellent crus classé. For simplicity, however, the notes for these wines can be found under the Haut Medoc section of the site. There was a time when the wines of Margaux were described as perfumed, elegant and feminine – certainly these were indicators I was always told to look for when trying to identify these wines blind as a student in the 1980s. Whilst the best wines here do often have these characteristics today there are clearly a wide variety of wine styles in the appellation. To me these reflect the choices of the wine making as much as the terrior and vineyard, though that said, Margaux is an appellation with quite divergent soils as the Chateaux themselves are strung out across a wide area over the five principal communes; Arsac, Labarde, Cantenac, Margaux and Soussans. Clearly this exerts a considerable influence on the flavour and structure of the wines but that said, this variety is partially offset by a degree of intermingling of the chateaux vineyards, with some properties actually having quite dispersed holdings. Consequently to me it seems that winemaking technique has a lot to say about the stylistic differences in Margaux’s wines today. There are those estates that appear to have a flexible approach and seem genuinely to adapt winemaking to suit the vintage and the style of the fruit. Of course every chateau will all say that they do this, but a horizontal tasting of Margaux wines will show you quite clearly that they don’t. There are then those who push a more extractive style of winemaking, some come what may. Extractive winemaking is not a problem necessarily in itself when it’s done well. I’m not a shrinking violet and I do enjoy wines with substance and extract. Equally I am excited by wines that manage to intrigue by virtue of elegance and intensity. If there is an appellation that can do the latter better than any other in Bordeaux then it is Margaux. The best wines obviously offer the best of both worlds – concentration alongside harmony, balance and perfume. There are a few chateaux here, to my palate, making wines bordering on the over-extractive and masking these wines with oak. These wines however, shouldn’t distract from the considerable overall improvements in winemaking that have occurred in this appellation over the last ten to fifteen years. The best Margaux are amongst the very best and the quality across the appellation is certainly much more homogenous than it was in the past and whilst Margaux is home to some of the most expensive wines in the world, it is also home to some of the best value wines in Bordeaux too. Generally Margaux is considered as having lighter, more gravel based soils than the other Médoc communes but given the size of the appellation this is a broad generalization. Soils are in fact sandier to the south of the appellation, where a higher proportion of Cabernet Sauvignon is planted. One of the characteristics of gravel and sand are that they drain well. Correspondingly in very hot years the soils tend to dry quicker than those with a greater clay base which is why Margaux sometimes doesn’t make its very best wines in the very hottest years. Compare 1982 with 1983, for example, the latter vintage generally much better in Margaux. The same is true of the torrid 2003 which favoured St Estèphe’s heavier more water retentive clay soils. That said 2000, 2005 and 2009, all warm years, have produced excellent Margaux. First Growth Château Margaux is indisputably finest wine of Margaux, if not the whole of Bordeaux where it vies with Château Lafite-Rothschild and Château Latour as the best of the best. It’s the quality you’d expect for the price of course. 2009 was released en primeur at £8000 a case [$12000]. For those with this much money to spend you will find a wine elegance and amazing intensity, one that contrasts concentration of flavour with freshness and vivacity. It is wonderful and harmonious stuff and a testament to the investment of Andre Mentzelopoulos who rescued the Chateau from the Ginestet empire in 1977, as well as the subsequent talents of his daughter Corrine and Paul Pontallier, who joined the staff in 1983, and who subsequently became managing director of the property. Pontallier, widely regarded as one of the finest winemakers in the world, sadly died of cancer in March 2016, robbing the wine world of his genius. Often near equal in quality is Château Palmer, classified a 3rd growth in 1855 but often now the qualitative equivalent of the first growths. Palmer makes wonderfully voluptuous, decadent wine, the definitive iron-fist in a velvet glove, a decadence partly created by the elevated percentage of very fine Merlot in Palmer’s blend, high compared to the other wines of the commune. Palmer’s 1961 was legendary. Recently the 2000, 2005 and 2009 are highly regarded. Consistency has improved with the arrival of Thomas Duroux and prices have jumped here too with a step change from the 2005 vintage which now trades north of £2000 [$3000] a case. Forgive talk about price here, but it’s an important issue these days with fine Bordeaux – indeed money has always been a factor here of course, price being a key determinant of the original 1855 classification. Now snapping at Palmer’s heels, but in a very different style is Château Rauzan-Ségla, a towering powerhouse of a wine in good years, whose reputation has been fully restored by the talents of winemaker John Kolasa and the substantial investments of the Chanel perfume house owners the Werthheimer family. This is a wine that does retain aromatics but is also substantial and structured. Seemingly it is Margaux’s answer to Latour, interesting since that was John Kolasa’s place of work prior to moving to Rauzan-Segla. Kolasa retired from winemaking in 2015. Sadly neighbouring Château Rauzan-Gassies is still yet to return to the form it must have once shown – both Rauzan properties were designated second growths in 1855 – and Gassies remains disappointing by comparison in my recent tasting notes. It is a rather chunky wine, not without guts or structure, but which feels still an unsophisticated wine despite the disposition of its vineyards and excellent terroir. If I was fabulously wealthy beyond my wildest dreams I’d be offering the Quie family, who have owned the property since the Second World War, an offer they cannot refuse. Come on French insurance companies and couture houses – get your cheque books out! More voluptuous than Rauzan Segla and maybe more akin to Chateau Palmer is Château Malescot Saint-Exupéry. This has become the Margaux estate to watch in recent years. The 2005 highly rated by critics and the 2009 is fabulous – a concentrated and rich wine but with wonderfully seductive qualities too. Château Lascombes is another estate to follow now, producing wine that is a far cry from the washed out, dilute wine made there in the 1980s and 1990s. Someone should have been shot at Bass Charrington the British owners of Lascombes at that time. The chateau was bought by Colony Capital in 2001 this is now a resurgent Chateau. Certainly it’s ‘new wave’ Margaux, and the winemaking today is pretty extractive, but the fruit seems to be able to take it. 2009 Lascombes is a pretty big wine and not for the faint hearted. It was recently sold to a French health insurance company. Other Margaux Chateaux who have raised their game in the past few years are Château Kirwan and Château Marquis de Terme. Kirwan famously made extraordinary wines in the nineteenth century and though it produced a great many disappointments in the 1970s and 1980s, things have been on the up since the mid 1990s. Again the winemaking is extractive here, and there is lots of colour and concentration in the wines today, but it does work very well to my palate. I was very impressed by the 2005 Kirwan. Chateau Marquis de Terme also had a reputation as an underperformer in the past but there’s been a lot of improvement here too over the past decade. The 2009 is very impressive, again thick and concentrated, maybe not your classical style of Margaux but a very good effort nevertheless. The Dutch businessman Eric Albade Jelgersma has done much to elevate Château du Tertre, which had been making good wine for a number of years, along with Château Giscours, a property which was great in the 60s and 70s but went through an unsteady patch subsequently. Jelgersma bought the Giscours winemaking business in 1995 and bought du Tertre in 1998. Recently I was very impressed by du Tertre’s 2009 which is harmonious and true to its Margaux’s heritage, but also with much concentration and polish. Giscours in 2005 I found very powerful. I remember reading somewhere that Jancis Robinson, the respected British writer, describes it as more Napa Valley than Margaux. I’d agree with that. Their 2009 seems more fragrant and has greater finesse, obviously these are now wines that are back on form. It’s worth remembering that Giscours in the 1970s produced big, beefy muscular wines. Their 1975 must be one of the best from that once much lauded vintage but which in a great many cases produced ferociously tannic wines that never came round. Château Durfort-Vivens, run by Gongazue Lurton, certainly divides the critics. It’s keenly priced for a cru classé which certainly puts it in range of my pocket. I was very impressed by the 2005 and the 2009 is very fresh, though maybe lacking the opulence of some in that vintage. This is probably because Durfort is a very Cabernet Sauvignon dominated wine which may make it seem more subdued early on. Robert Parker has been critical of the wine in the past – I imagine largely because it can be somewhat subdued to begin with – but I’ve found the wines from Durfort-Vivens to have good balance and harmony with attractive perfume once they hit their stride. 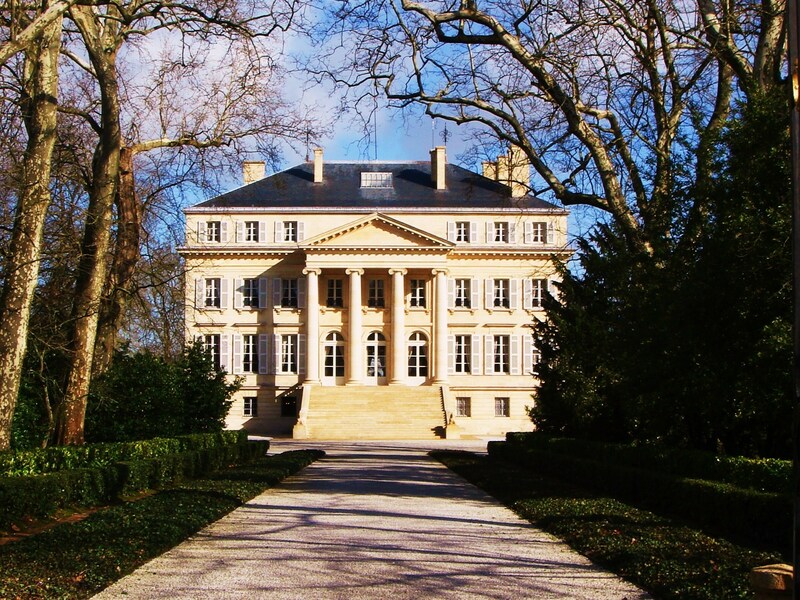 Château Prieuré-Lichine is another Margaux estate that is on the up. The wine was never really in the doldrums though given the potential it did opt for a rather easy supple style for a number of years. Sold be the Lichine family in 1999, I’ve certainly be impressed by recent vintages. The 2009 was a very good wine, perfumed on the nose with good concentration on the palate. I’ve had much less of Château Boyd-Cantenac and Château d’Issan recently than I’d have liked, but both these wines made outstanding 2005 and 2009s which I’ve tasted. I find them similarly styled, quite intense wines with lots of concentration and flavor. Again these were wines that also underperformed in the 1980s and 1990s. Château Brane-Cantenac has received rave reviews for its 2009. I thought it was a pretty and perfumed wine and there is something delicious about the wines here. Château Cantenac Brown was one of the first bottles of Bordeaux I bought – a couple of 1978s purchased from the original UK Bottoms Up chain in the early 1980s. This for me has always been a bit of a rustic, chunky wine. It’s a property seen as being on the up since its sale to French insurance giant AXA who also run Château Pichon-Longueville in Pauillac. Recently in 2009 and 2010 Cantenac-Brown were quite extracted and tannic with a super-ripe raisin note on the nose. Undoubtedly these are wines with a lot of substance but they are over-extracted to me. Other properties to watch are Château Desmirail and Château Ferrière. For a while these weren’t on anyone’s radar particularly but recent vintages have been good. I was especially impressed by Desmirail’s 2009 which was a very attractive and nicely balanced wine. The property is run by Lucien Lurton, another of the Lurton family. Likewise Ferriere is also a wine to search out for good value. It is run by Claire Villiars-Lurton, who also makes Château Haut-Bages Libéral in Paulliac. Claire is married to Gonzague Lurton of Durfort-Vivens. Bordeaux’s a small world. Amongst Margaux’s numerous cru classe one wine that doesn’t do it for me at present is Château Dauzac. This estate owned by another Lurton, this time Andre. There has obviously been a lot of investment here but whilst the 2007 seemed a good effort in a tricky vintage, the 2009 felt way overdone, dominated by new oak tannins and fruit which felt really stretched and over-extracted. It may settle down yet but until it does for me the jury is still out for Chateau Dauzac. Amongst the Margaux cru bourgeois Château Angludet, Château Labégorce [now incorporating Château Labégorce-Zéde], Château Monbrison and Château Siran, are all clearly making serious wines, often of classed growth quality. As the price of Margaux wines necessarily rise over the coming years these wines will come to represent increasingly good value I imagine – Margaux you can actually afford to drink. For more much more detail click on the individual Chateaux profiles to access information and tasting notes for each of the estates listed. For the raw tasting notes click here and click on these to switch to profiles of the Haut-Médoc, Moulis & Listrac, Pauillac, St Julien, St Estèphe, Pessac-Léognan, St Emilion and Pomerol.